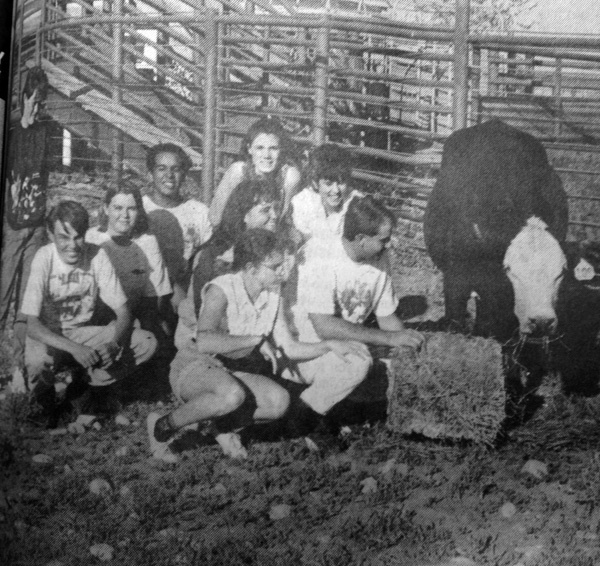 Looking back 40, 30 and 20 years ago, the following are excerpts from the Artesia Daily Press from Oct. 18-24. As the Class of 1976 experiences their final year at Artesia High School, they are being guided by newly-elected senior class officers: Bobbie Spencer, treasurer; Mark Miller, president; Jerri Branch, vice president; and Lu Ann Achen, secretary. The responsibilities of junior class administration is on the shoulders of four students elected by their classmates in recent days. The junior leaders are Connie Kuykendall, secretary; David Calvert, president; Susan Barnett, treasurer; and Rhonda Berry, vice president. This year’s sophomore class at Artesia High elected four classmates to serve as class officers: Rose Mary Martinez, treasurer; Steve Messmer, president; Sue Hart, secretary; and Randy Teel, vice president. All three classes at AHS sometimes need the guiding wisdom of faculty members. Offering their services as head class sponsors are Maxine Kuettner, sophomore class; Jim Johns, senior class; and Anita Harvey, junior class. Artesia Police Chief Bobby Bishop had a surprise waiting for him in his front yard Friday morning — a six-foot marijuana plant. “I was on my way to work and there it was in my front yard,” he said, “and there were no clues as to where it came from or who left it there.” Bishop has replanted the uprooted weed in a bucket and now has it in his office so his officers and other concerned citizens can see what growing marijuana looks like. The Vocal-Instrumental-Promoters’ 30th Annual Cakewalk drew a large crowd of Artesia participants and earned in the neighborhood of $2,500 for the organization, according to one VIP spokesman. The cakewalk, held each year on the city’s downtown parking lot, is a fundraising effort for musical endeavors in the Artesia Public Schools. The inevitable has finally happened. The time has come when an overabundance of deer hunters in New Mexico has become a threat to the state’s deer population. Because of this, over 135,000 New Mexico deer hunters will be faced next month with an entirely new type of deer season called “stratified hunting,” a concept developed by the New Mexico Department of Game and Fish and designed to reduce the deer harvest by dividing the regular season into three shorter hunt periods. As reported in Big Orange Country: Homecoming is next week. Artesia High School will be buzzing with Homecoming activities. A bonfire is planned for next Thursday. The following Friday a parade will march down Main Street complete with cars of officers and the AHS Bulldog band. The parade will feature floats made in competition between classes. The queen will be crowned next Friday in an assembly. Candidates for Homecoming queen were elected by classes Wednesday. The student body will decide next Wednesday which girl will be Homecoming queen. As reported in the Pinon News: A number of the members of the Church of Christ on Perk Canyon met in the David Anderson home Tuesday evening of last week for Bible Study. Although it had rained heavily and the roads were very muddy and slick. David’s house is on top of a hill, but the cars made it up the hill to the house, but one pickup. It was a short distance to the house, so the persons in the pickup walked. “Teen Wolf” and “Pee-Wee’s Big Adventure” were the featured films this week at Cinema Twin, western dress slacks were $19.97 at Anthony’s, and chuck roast was $1.19 per pound at Safeway. Artesia Christian College, while “founded in faith and continued in prayer,” is closing its doors Dec. 19. Officials at the college are attempting to sell the property and then move to Joplin, Mo. Administrator Phillip Lockhart said with dwindling enrollment, the time had come to face reality and call it quits. The fishing this past week at Brantley Lake has been slow, but fair. The Roadrunner BASS Anglers of Roswell held their Team Open at Brantley this past weekend. There were several teams that did not weigh in any fish, but those that did bring fish in had some nice ones. The winner of the Big Bass Contest was Jack Dolan with a largemouth weighing 6.69 pounds. Best luck seems to be using top-water or “stick” lures in South Bay or the North Seven Rivers Channel. As reported in the Pinon News: H.A. Stringfield came from Alamogordo to the ranch Thursday and pumped water and worked on the ranch as he had a few cattle he wanted to keep up. He and his sons plan to come and work cattle Saturday and Sunday as String wants to brand some calves. If they come, the women plan to come and fix lunch for the men. Don Adams, Tess Ashton, Estelle Neff, Pauline Castleberry, Evelyn Miller, Ava Lee Hegwer, Walter Bynum, Joe Solt, Lucia Hnulik Yates, Lews P. Means, Alene Durbin, Orville Chambers and Orville “Rooster” Durbin, all members of the Artesia High School Class of 1940, gathered in Artesia Thursday afternoon for a 55-year reunion. Graduates came from as far away as California for the reunion.